Emojis, the digital images people send each other by text and social media, are reflecting the changing nature of communication today. It is little wonder then that there is a day dedicated to these icons – July 17 is officially celebrated as World Emoji Day. The word Emojis derived from a Japanese term which translates to “picture and character” – first surfaced in 1998. Since the early days of digital communication, it’s been common practice to use emoticons as a way to express feelings. After years of using “:-)”, emojis, as we know them today, stepped into our lives. But it wasn’t until major smartphone players like Apple [and to some extent Google] integrated emojis into their operating system, that their use took off. While many believe these tools have added personality to text message conversations, others are of the opinion emojis are not apt to be used for workplace communication. 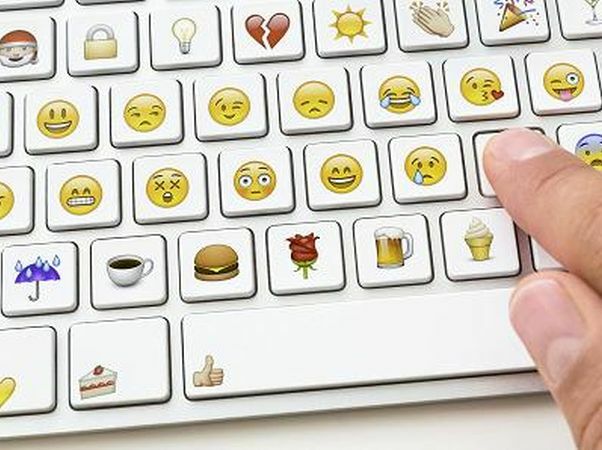 IT consultant Saptarshi Roy believes that Emojis are natural source of communication and expression in the workplace. “We have come a long way in business communication – from the phone to email and then to text messages. Now, we’re going from text language to pictures. This trend is useful for enriching text with the kinds of things we might use our intonation or facial expressions to convey . There are 2,666 official emojis in the Unicode Standard, as of May. Besides, there are countless unofficial emojis introduced by companies, brands and even individual celebrities. The latest was from Apple that marked World Emoji Day by releasing final versions of a few new emojis that will be part of iOS 11, which comes out this fall. Companies have also been participating in this new trend. For example, Chevrolet has put out a press release on emoji, inviting people to decode it. Goldman Sachs tweeted completely in emoji to highlight a research report on millennials. The micro-blogging site charges companies around $1 million per piece to get customized emojis on the platform. Likewise, Snapchat spent $100 million on a company that turns your face into an emoji. A new research suggests that Emojis lead to higher interactions in communication in the workplace. However, while using emojis in personal emails or text messages is a common practice for many people, using them in work communications should be done much more sparingly, the new research shows. In a study from the staffing firm OfficeTeam, only a small percentage of CEOs said that regularly using emojis in work emails or texts is a good idea. Most of those in charge said they would prefer that emojis be left out of work communications altogether, or at the very least, used only in certain situations. Thirty-nine percent of those surveyed said using an emoji in any instance in a work communication is unprofessional, while 40 percent said using them is OK depending on the situation. The majority of workers admitted to inserting a smiley face or other emoticon in work communications at least some of the time. But one-third of the employees surveyed said they never use emojiis and prefer to express themselves in their writing instead. Don’t go overboard. You shouldn’t be using emojis regularly. Using them all of the time could annoy others and muddle your message. Know your audience. Consider your company’s corporate culture and your relationship with those with whom you are communicating. While including a thumbs-up icon in an email to work friend might be fine, doing so when sending messages to company leaders could easily be frowned upon. Assess the situation. Using emoticons when discussing serious issues can appear awkward or rude. It’s best to leave emojis completely out of those types of communications. Know your emojis. Today, there are hundreds of different emojis and emoticons. If you are going to use one, be sure not only that you know what it means, but that the person receiving it will understand the message as well. The last thing you want is for an emoji to be taken the wrong way. Use your words. If you aren’t 100 percent sure that using an emoji will get your point across, leave it out and focus on your words. Either write out what you want to say, or have an in-person or phone conversation to discuss the topic. Emojis add that little personal touch to a digital conversation. It is the symbol that breaks the ice between two people interacting on a digital platform. In this mobile first world, our smart phone is the primary device that we use to converse with our family, friends, colleagues and acquaintance. In the workplace, where most conversations happen digitally, we don’t get the chance to share facial expressions and other nonverbal cues in our emails, they can sometimes be tougher to interpret. The addition of an emoji makes that message easier to interpret, Menon summed up.